Attention deficit hyperactivity disorder (ADHD) is becoming something of an epidemic – or so some would think. Over the last few decades, the number of children in the U.S. diagnosed with this condition has risen sharply, with numbers peaking in 2011. About 5.2 million children ages three to 17 have been diagnosed, and this number continues to grow, according to the Centers for Disease Control and Prevention. ADHD is characterized primarilyby inattentiveness, impulsivity, and restlessness, making it hard for children with ADHD to focus in school. As a result, schoolwork suffers, as well as these children's interactions with their friends, since they are often unable to control their behavior. Scientists and doctors are still largely unsure of what causes this ‘difference’ (as I like to refer to it as), but they have formulated several possibilities. Here are a few of the factors that could be culprits in the increasing number of ADHD diagnoses. Keep in mind that in this age of technology the diagnostic tools are much more refined, so even acquiring a diagnosis is now more conclusive and easier to obtain than was possible many years ago. Genetics.Studies from the National Institution of Mental Health show that ADHD is often passed on from one generation to the next. If a parent has ADHD, a child could be next in line forhaving the condition as well. The NIMH has also conducted research that shows that particular genes in children with ADHD could cause thinner brain tissue around areas in the brain that relate to attention. This tissue reportedly grows thicker as these children age, and improves their symptoms, so this research could be helpful for scientists studying how genetics and ADHD relate to one another. Additives.While it is not conclusive yet, British researchers are working on a theory that food additives can stimulate hyperactivity in the body. Artificial colors and preservatives, such as FDandC Yellow No. 6, FDandC Red No.40, and sodium benzoate have been named as possible stimulants. While the U.S. Food and Drug Administration has not confirmed these studies, more research in this area could prove important to discovering the causes, or even just the exacerbation of symptoms of ADHD. Sugar.The effect of copious amounts of sugar on the average person is fairly common -- a build up of energy, usually followed by a drop. But for children with ADHD, too much sugar could be a major concern. One study from Yale University shows that children who eat excessive sugar are more prone to inattentiveness, and another study from the University of South Carolina produced similar results, reporting that these children displayed increased signs of restlessness. Social, environmental, and psychological factors have also been named as possible causes of ADHD, but nothing has yet been proven in those areas. The treatment of ADHD has evolved over the years, with many parents placing their children in cognitive behavioral therapy(CBT) for ADHD, and ADHD coaching. Medication is also a common treatment, yet with many people wanted to steer from that route, they often turn to life management services, usually offered by professional life coaches. ADHD Coaching can help students, or any individual really, create reachable goals, and develop time management skills. With the help of life management services, medication, and therapy, many children have been able to reduce their symptoms of ADHD. While there is no cure for this condition as of yet, more research into the causes could eventually lead doctors in that direction. If you want to help yourself to curtail some of the main issues with ADHD, begin by taking a good look at your diet, your exercise level, and your sleeping patterns. These foundational units are key in beginning to address the problems ADHD can create. 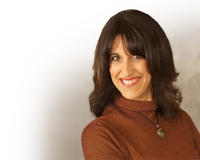 If you are interested in finding out about an ADHD Support Group in the Santa Barbara Area – please contact Juli Shulem at CoachJuli.com to learn more about that in the coming months.